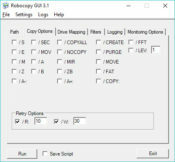 Robocopy is a perfect copy utility which is used to resume the file transfer with ease. If an error of a network disruption interferes with your activities, then this tool will help you a lot for you to continue the procedures. 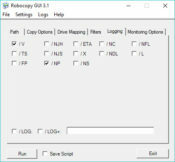 It will help you a lot because if you have an error, this tool will preserve all of your files properties with ease. It is a handy security tool which will maintain a lot of things. Besides preserving the file properties and information, it will also maintain date and also time stamps and even the security access control lists. 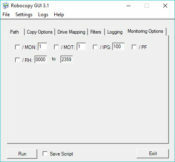 This is because this tool will replicate the file and it will undoubtedly be a handy tool, especially for advanced users. 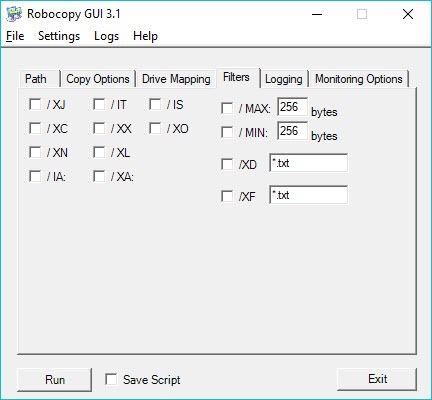 Besides all of these things, Robocopy is an easy to use application, and it is going to offer a friendly interface for the users to enjoy. There will be custom options that any user can apply with ease. 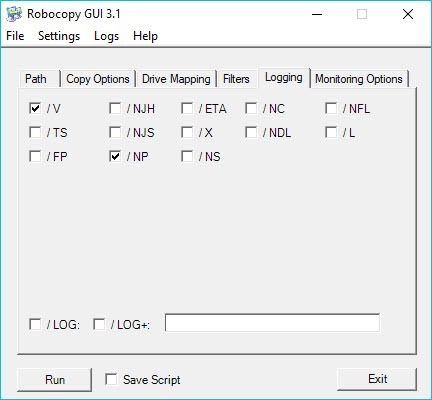 All of the desired options can be executed with the traditional Robocopy command line functionality. 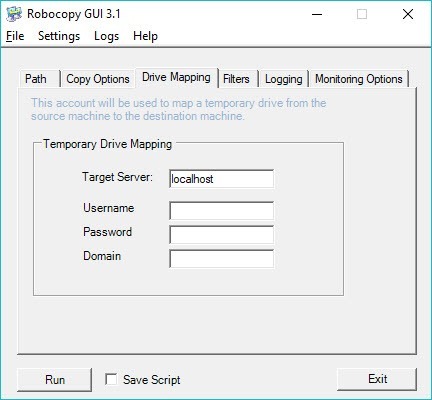 All of the functionalities of this tool will be extended in some exciting ways, and this tool will even allow the user to create a Robocopy script and execute it. 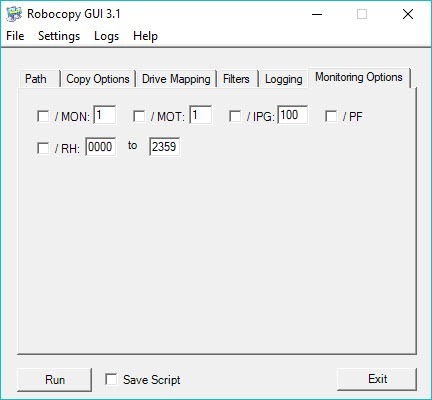 This tool will begin to create another script, while the first script is running. 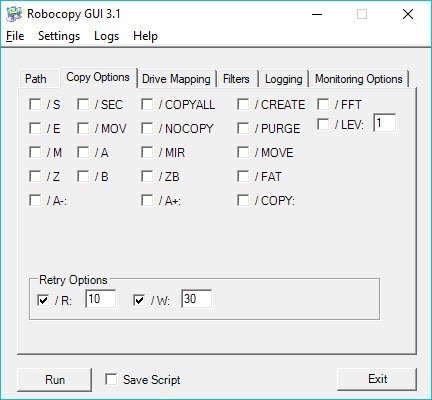 It will also allow the user to save his wanted script for him to execute it later. It will also let you create some scripts and share them with your colleagues. It will also allow you to save your default setting and this means that you won`t have to start from scratch every time. 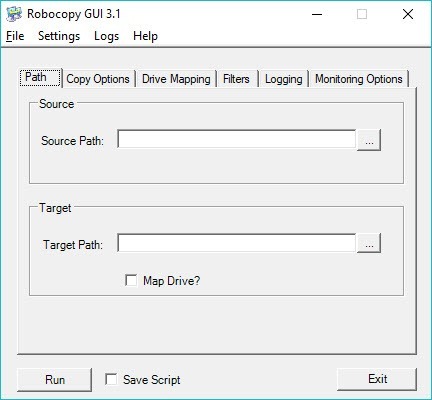 Robocopy is an easy to use software, and it will be pretty easy to understand it. You will learn all of the full indexes for free, and you will also manage to learn this program`s syntax and commands by using it out because it has a friendly interface and you won`t have problems understanding it. All you have to do will be to select your source path and the target path, and after you do these things, the program will start doing its work. You will need to click on Run so it will quickly start working. It will work well in any conditions, and you won`t have problems while using this one out right away.